For those looking to maintain a healthy lifestyle, there is no better physical activity than running. Running can improve circulatory and cardio-vascular fitness, enhance muscle tone and lift your mood. However, like all strenuous physical exercise, running poses risks. Runners can fall victim to a number of injuries, especially in the early stages; but even the most experienced runners can face them, especially during periods of strenuous training. So what treatments are on offer should you fall victim to serious injury, or require rehabilitative treatment? The treatment options are numerous, but today we’d like to focus specifically on one form of therapy: osteopathy. In our definitive guide for how osteopathy can help runners, we will not only cover the basics about this form of holistic therapy, but also the benefits it presents for runners. We will walk you through the complete treatment experience, while offering the full details you need to understand osteopathy. Discover the world of osteopathic treatment below and see how it can support you as an avid runner. Osteopathy is one type of CAM (meaning complementary or alternative medicine in the UK) that moves, stretches and massages an individual’s joints and muscles to detect, treat and prevent health issues. It is a common therapy for treating sports injuries, but also various problems with joints, bones or muscles. The father of osteopathy was a man called A.T. Still. In Autobiography, one of the four books he published related to the topic, Still compared an osteopath to an engineer. Still believed that, as an engineer of the body, an osteopath should be able to master his patient’s treatment by thinking of the body as an engine, a system . This led to belief that osteopathy must be a holistic treatment, a therapy that treats the body as a whole. For further research on the osteopathic philosophy, you can consult Still’s complete works: Autobiography of Andrew Taylor Still with a History of the Discovery and Development of the Science of Osteopathy, Philosophy of Osteopathy, The Philosophy and Mechanical Principles of Osteopathy and Osteopathy Research and Practice. Quite often, people will mistake osteopathy for physiotherapy ,or chiropractic treatment. It’s true they all share the same rehabilitative goal, but what sets them apart? First of all, osteopaths are different from chiropractors and physiotherapists through the assessments, techniques and areas of focus. For instance, a chiropractor will frequently require traditional forms of diagnosis, like various tests or scans. An osteopath, on the other hand, will physically examine the patient in the thorough assessment process. Physiotherapists and osteopaths share different ideologies and training methods for the professions, even though they have many common points. 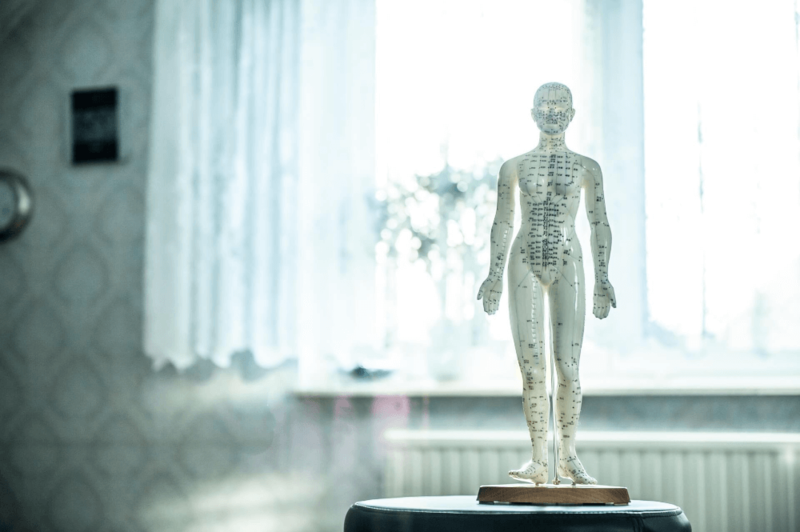 What really makes osteopathy stand out among other forms of therapy is that it works to treat the body on a holistic level, together with rigorous consultation. Biomechanical assessment and functional movement – this refers to an assessment used to analyse gait, walking / running patterns as well as movement assessments of area such as the low back, hips, knees and feet. Soft-tissue massage – these techniques focus on increasing blood flow and relaxing muscles, through deep pressure massaging. Exercise and rehabilitation – specific stretches and exercises designed to help improve and maintain health for both injury recovery and day to day training. This may also include advice about orthotics and the use of tapping. Additional techniques include joint mobilisation, muscle energy, counterstrain and myofascial release. If you have any specific question about any one of these techniques, don’t hesitate to ask the osteopath you are working with. They will be more than happy to provide clarity so you can understand the process. When you visit an osteopath for a consultation, the assessment is just as significant as the actual treatment. In order for the practitioner to understand the source of your problem, they will perform an exhaustive physical examination to determine the most appropriate form of treatment. However, prior to this examination, they will walk you through your medical history. Any previous injuries, procedures and even history of medication taken are all essential for gaining a greater understanding of your condition. After the general physical examination, an osteopath will examine specific parts of the body and test the movement of joints and muscles. If you are a runner – amateur or professional – you know how many risks your body undergoes during prolonged sessions. From runner’s knee to sprains and muscle tears, injuries can range from mild to severe. We will talk about the most common running injuries in a dedicated section below, but let’s speak about the benefits of osteopathy for runners (and, frankly, any individuals). As you have recently gathered, one of the definitive traits of osteopathy is its holistic approach. An osteopath doesn’t just focus on the area of injury, but rather how the specific region is connected with the entire body and its proper functioning. For example, if you consult an osteopath for runner’s knee, you won’t just be getting treatment for your knee – an osteopath will look into areas such as the lower back, hips and feet. After learning more about your history and habits, the practitioner will work to regain a proper connection with the rest of your body. This methodology is strongly related to the core philosophy of osteopathy, which we spoke about in the first part of our guide. Osteopathy is a manual, holistic therapy that aims to heal the body, without any other external factors. Osteopaths strongly believe that the body has the power to heal itself, provided the suitable techniques are applied. The patient is not required to take pharmaceuticals, which could potentially harm other organs of the body. This means that it can be a very beneficial treatment for frequent and professional runners, who are encouraged to maintain a healthy body at all times. Osteopathy has a number of long-term benefits for the body, mind and spirit alike. Osteopathy can be a preventative treatment, meaning it can help athletes and runners to avoid similar injuries in the future. Osteopathy is as much about changes to lifestyle, diet and fitness regimes as it is about the therapy itself. There are countless injuries that runners face. Not only is the lower part of the body prone to accidents, but runners can also experience painful back injuries that can affect their performance. Even though almost half of the most common injuries for runners are related to knees, heels, shins and ankles can be equally exposed to harm. The reasons for running injuries are various, ranging from a lack of warming up to simply pushing yourself too hard when your body sends you signals to take a break. Nevertheless, what are some examples of the most frequent running injuries? Even more so, can they be treated with the help of osteopathy? Arguably the most common running injury and typically regarded as ‘runner’s knee’, this injury often takes place in runners at one point or another during their activity. When experiencing PFPS, the patient may or may not have a swollen knee, but pain is almost inevitable, especially near the kneecap. Generally, the cause of PFPS is putting too much strain on the kneecap after prolonged running or, on the other hand, prolonged sitting. It also affects other regions of the body, such as the pelvic area or the hips. Plantar fasciitis is an inflammation of the plantar fascia, the ligament between your toes and heel. Even though the condition is common in older individuals, it frequently takes place in runners. This is why many regard it as ‘jogger’s heel’. It arises when runners spend long periods of time training on durable surfaces. The pain caused by plantar fasciitis can be felt in the heel area, but also across the bottom of your foot. It may or may not occur in both feet. Jogger’s heel can be successfully treated with osteopathic techniques. Also known as , patellar tendinopathy is an injury of the patella tendon, which is located just below the kneecap. experience. Whilst it is often referred to as “jumper’s knee”, it can also affect those who take part in a lot of running activities. Like the other injuries we have described above, it can be treated with the help of an osteopath. Medial tibial stress syndrome refers to excessive strain on the tibia, usually referred to as the shins (the syndrome is also known as shin splits). Medial tibial stress syndrome (MTSS) affects the inner side of the tibia (shinbone), in particular. Runners with shin splits can feel great pain anywhere along their inner shin, usually in the lower part of the knee-ankle region. The therapeutic techniques will not only be carried out around the specific area causing you pain, but also in other key points on your body. Osteopathic manipulative treatment varies from patient to patient, but the general methods revolve around techniques like the ones we have described in our guide. We highly recommend that you personally speak with an osteopath to find out if OMT or acupuncture is right for you. The following exercises are not only useful for aiding rehabilitation, but for ensuring that you don’t fall victim to a serious sports injury in the first place! Warm-up and core exercises can reduce the chance of injury during long runs. You can and should consider exercises for all areas of the body, but here are just a few that are particularly useful for runners. Even though upper back rotations are a natural exercise for runners, they tend to be overlooked when warming up. Thoracic spine rotations are extremely easy to remember and perform. Sit on a bed or chair keeping your back straight and feet flat on the floor. Place one hand on the opposite shoulder and the other hand on the other shoulder. Start to rotate to the right and then to the left repeating 10 times on each side. There are useful osteopathic hip stretches and exercises for runners of all levels. The easiest and most efficient one for novice runners is the gluteal stretch. To get it right, lie down on the floor, grab your knee with one and leave your other arm stretched out on the floor. Push your knee up in the opposite direction until you feel a good stretch in your hips and hold the position for around three seconds. If you are an intermediate runner, you can stretch your quadriceps by standing tall (holding onto a chair or wall if needed). Pull your foot backwards towards your buttock. You will feel a stretch into the thigh and then repeat this on the other leg. As runner’s knee is a repetitive problem for athletes, it’s natural that a wide variety of osteopathic knee exercises are available. The easiest one to perform is simply extending your leg to build up the strength in your quadriceps. Roll up a towel, sit down with your legs in front of you and place it under one knee. Gently raise your foot as high as you can for three seconds and carefully place it back down. As an alternative, you can also build up your quads by completely extending your leg while sitting on a chair. Keep your arms down on both sides of the seat and carefully raise your leg high. Likewise, maintain the position for several seconds and repeat ten times for each session. As far as feet and ankles are concerned, the main exercises focus on either stretching or strengthening. If you opt for the stretching option, you can perform calf stretches. On a step or curb dip your heel off the edge lowering down so that a stretch is felt in the calf muscle. Hold onto something for stability if needed. If you want to strengthen your toes, feet and ankles, you can explore exercises that increase your balance. Stand up straight and balance your body weight on one leg. At the beginning, maintain the stance for ten seconds and gradually increase the time you spend on one leg. If you have any troubles at the beginning, you can use an object or a wall to help you out. These exercises and stretches will help you not only for long-term treatment, but also for building your strength to prevent injuries. We recommend that you speak to your practitioner before engaging in them to see if they are suitable for your condition. If you want more exercises, don’t hesitate to ask the osteopath you are working with for extra guidance. Before we sign off, we thought we’d enclose few resources to help you learn more about osteopathy, how it can help you, and even how you can go about pursuing a career in it! Furthermore, they are also fundamental resources for those interested in pursuing a career in osteopathy and helping individuals with this form of holistic therapy. Below you can find some of the most reputable osteopathy resources that apply to residents of the United Kingdom. OSCA, formally known as the Osteopathic Sports Care Association, is the optimum resource for athletes interested in osteopathy. Even though its main focus is osteopathy in relation to sports, it also offers general information about this therapy and how it can help you lead a healthy life. On their official website – www.osca.org.uk – you can find intriguing articles on topics like the developing role of osteopathy in sport or pitch side osteopathy. For more information about the OSCA, please visit the aforementioned website. All osteopathic practitioners are required to register with the General Osteopathic Concil to legally operate in the United Kingdom. 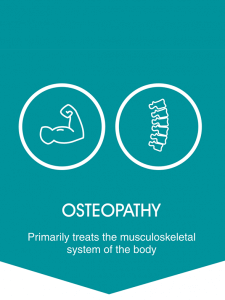 Their website – www.osteopathy.org.uk – contains a myriad of information both for practitioners and patients, including a section of news and resources. You can explore various research results, publications or press releases related to the world of osteopathy. Patients who are just coming into contact with osteopathy will find their ‘Visiting an osteopath’ section highly useful. It contains advice, general information and everything you can expect from a consultation. If you plan to make a career out of osteopathy, you can look through their ‘Training and registration’ tab for additional details. Although not widely available to the public, The Osteopath magazine is the principle publication from the UK General Osteopathic Council . The publication releases six issues every year and highlights the most recent events in osteopathy research and development, both for patients and osteopaths. All issues can be accessed on the official page here. On the website, you also have access to leaflets, fitness to practise annual reports and multiple other publications and resources. Osteopaths are widely available in the UK and you can almost always schedule an appointment in due time. If you feel that you could benefit from osteopathic therapy, do not hesitate to contact a practitioner in your area. Image sources: 1, 2, 3 (Credits: Giovanni Pescetto).